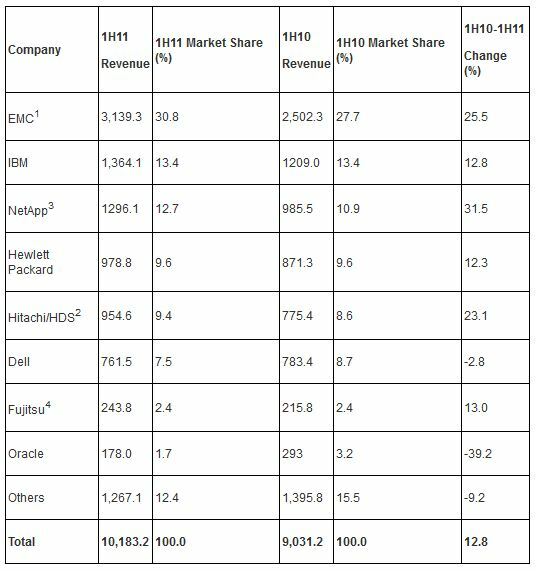 Tagged Dell, ECB Disk Storage Report, EMC, Fujitsu, Gartner, HDS, HP, IBM, IDC, NetApp, Oracle. Bookmark the permalink. 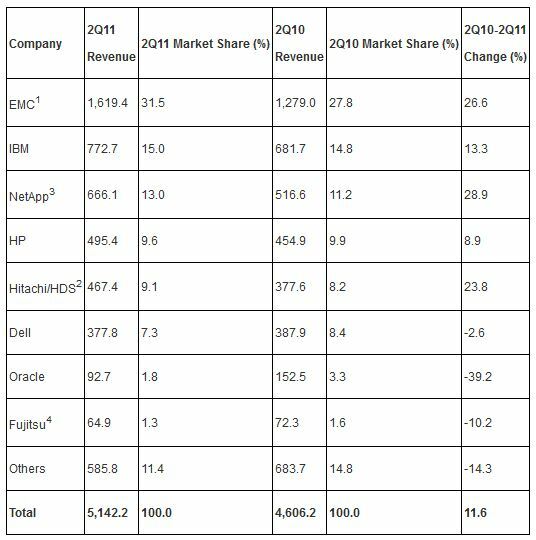 I just want to say, things will probably change in the future when we know if HP decides to continue reselling Hitachi OEM storage, or try to carve its own path with it’s line of storage acquisitions like IBRIX, 3PAR, LeftHand and Polyserve. Potentially, we could see a similar thing happen like the Dell OEM relationship with EMC, and their drop in sales. Yeah, things could change but I heard from CC Chung, their Country Manager for Storage that Polyserve is not so prominent anymore. They are pushing IBRIX (renamed X9000), some NAS platform based on Windows Storage Server (ugh), EVA and LeftHand (P4000). Somehow, their portfolio is very staggered.